A generally lackluster look back at sports and sporting events in Boston. As most of the world knows by now, the Boston Red Sox broke their ill-fated “curse,” finally winning the World Series title after 86 long years. Unfortunately, this achievement occurred too late for inclusion in this series of essays on Boston sports over the ages, but debut author Roberts (History/Purdue) profiles plenty of other sports personalities and events. The pieces run the gamut from the Boston marathon to rowing on the Charles River. Roberts covers such well-known figures as Ted Williams, Frances Ouimet, John Sullivan, Bobby Orr, and Bill Russell, representing, respectively, baseball, golf, boxing, hockey, and basketball. 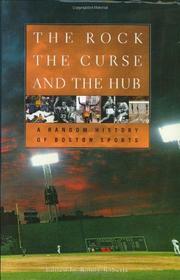 Prominent in major sports, as the essays conclusively prove, Boston has seen its share of both heartache and triumph. A few of the attendant stories are interesting—for instance, that of Babe Ruth’s brief tenure with the Red Sox before he was traded to the New York Yankees, supposedly bringing on the Sox the Curse of the Bambino, with its deadly result of winlessness in the World Series from 1918 until this past sweet autumn. Another enthralling essay, by David Zang, is the tale of the 1968 Harvard crew teams that represented the USA in the Olympics that year in Mexico City. Of equal interest is the astounding account of Frances Ouimet, a little-known American who captured the 1913 US Open at the Country Club in Brookline, opening the gates for golf in America: James Campbell’s piece perfectly captures the time and importance of little Ouimet’s victory. Sadly, though, that sense of excitement is rare here. Despite a few sparks, then, a mostly dry, plodding collection.